Mathew is an owner and founding partner of Cross Financial. He has been a financial consultant helping individuals, families, and businesses pursue their financial planning goals since 1999. Attention to detail, integrity, good listening skills and great empathy create the foundation of his business relationships. He is effectively supported by a team of administrative and investment product specialists whose teamwork and professionalism help him build long-term relationships with his growing client base and provide excellent customer service. He focuses on providing advice on Investment Planning; Insurance Planning; Tax Planning; Retirement Planning; Estate Planning; Intergenerational Wealth Transfer Planning; and Educational Savings Planning. Working with a network of highly skilled professionals, he is dedicated to providing high-quality advice and integrated wealth management strategies that work towards simplifying and enhancing the quality of his clients’ lives. 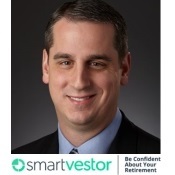 He is proud to represent Dave Ramsey as a SmartVestor Pro in the Portland area. Philosophically it was a great fit; Mathew and his family have always lived in agreement to Dave’s philosophies of reducing debt and diligently saving. He also enjoys teaching and coaching clients to help them pursue their goals. Mathew is happily married to his lovely wife Shari, a pediatric nurse at Randall Children’s Hospital. He keeps busy with his three children, Kaitlyn, Emily, and Michael. Away from business, he enjoys racquetball, hiking, reading and spending time with family and friends. After graduating from Linfield College he stayed in Oregon and started his career as a financial advisor in 1999. He holds the following securities registrations: series 7(General Securities Representative), 24(General Securities Principal), 63, 66 held with LPL Financial, and is licensed in the following states: AK, AR, AZ, CA, CO, CT, GA, HI, IA, ID, IL, IN, KY, MA, MD, ME, MI, MN, MO, MT, NC, NH, NM, NV, NY, OH, OR, RI, SC, TN, TX, UT, VA, WA, and WI. He is also licensed to offer insurance: Life, health, fixed and variable. The SmartVestor program is a directory of investment professionals. Neither Dave Ramsey nor SmartVestor are affiliates of Cross Financial Management or LPL.